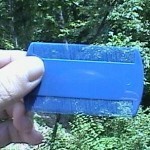 PRODUCT DESCRIPTION: Plastic fine tooth comb designed to be used on pets for removing fleas, flea eggs and flea pupae. Once pets have been bathed, fleas and flea eggs will be sufficiently loose so they can be combed out of fur. When pets have been badly infested with fleas, combing out any fleas or flea eggs is beneficial and will result in breaking the flea cycle that much faster. 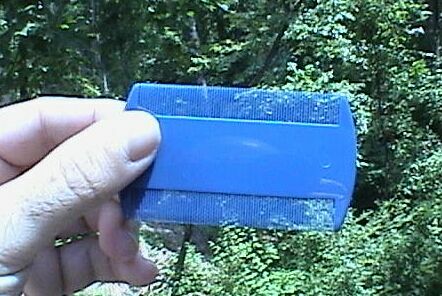 It is advised that some Petcor be sprayed on the comb prior and during combing. This will insure that eggs are not merely relocated and left to develop off the pet. By using the Petcor lightly on the comb, any fleas, flea eggs or pupae which come in contact with the comb will die. WHERE TO USE IT: Most commonly used on dogs and cats, flea combs can be used on people, rabbits, or just about any type of pet which has hair and fleas. RELATED PRODUCTS FOR THE PET: OXY MED ITCH RELIEF SPRAY MELALEUCA SHAMPOO WATER BASED (GENTLE) PERMETHRIN PET SPRAY PETCOR (alcohol based – strongest pet spray available – KILLS FLEA EGGS!!) TRIPLE PYRETHRIN PET SHAMPOO (great smelling and very effective) FLEA DIP CONCENTRATE FLEA POWDER (for treating dogs and cats).